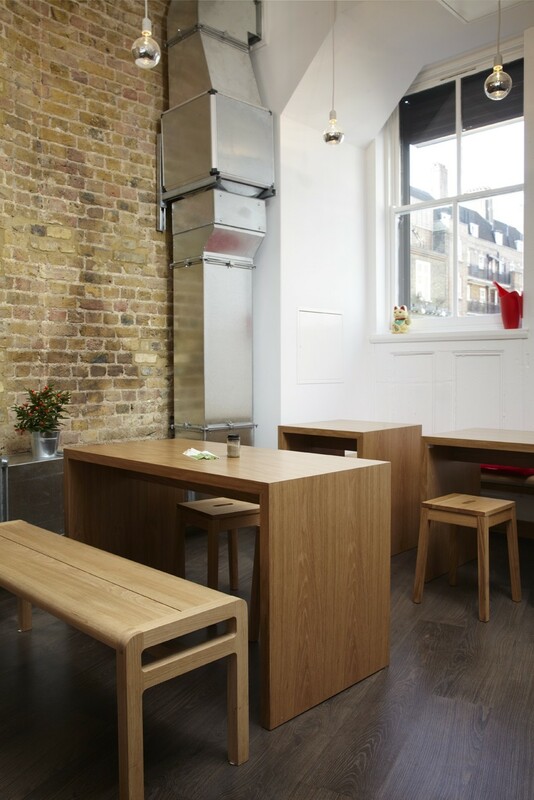 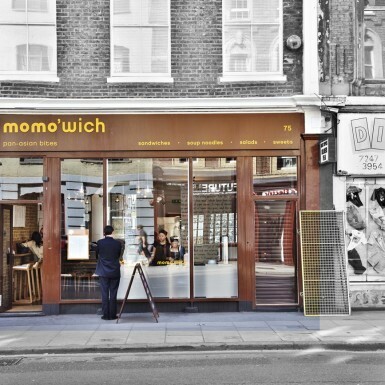 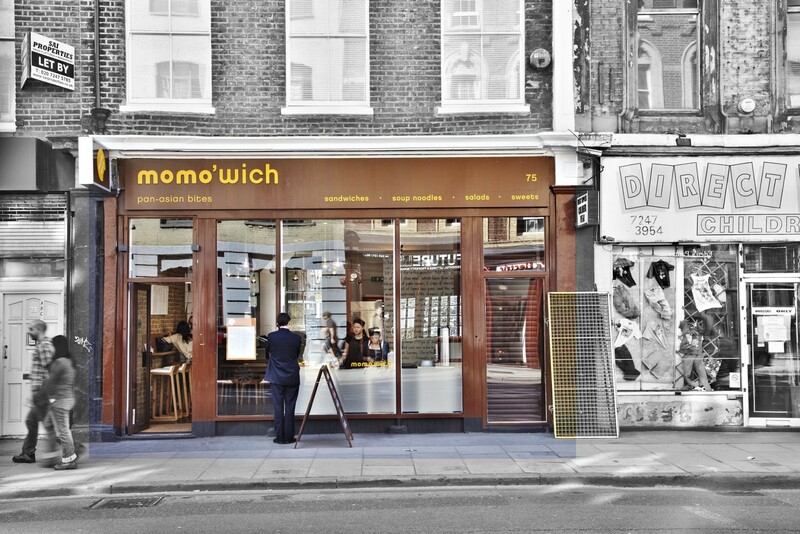 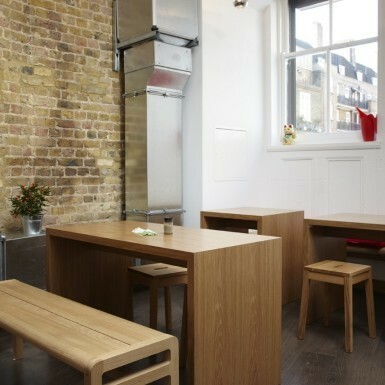 A new business cafe concept; the site is located within a conservation area in Spitalfields- occupying both the ground floor and basement of what was found in a state of disrepair. 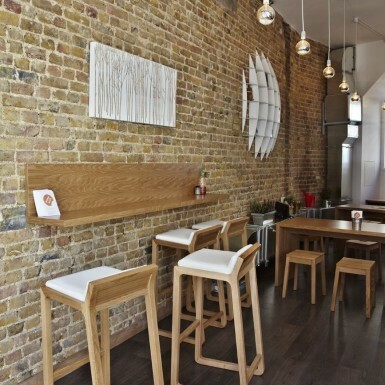 The building was given a new lease of life with this commission. 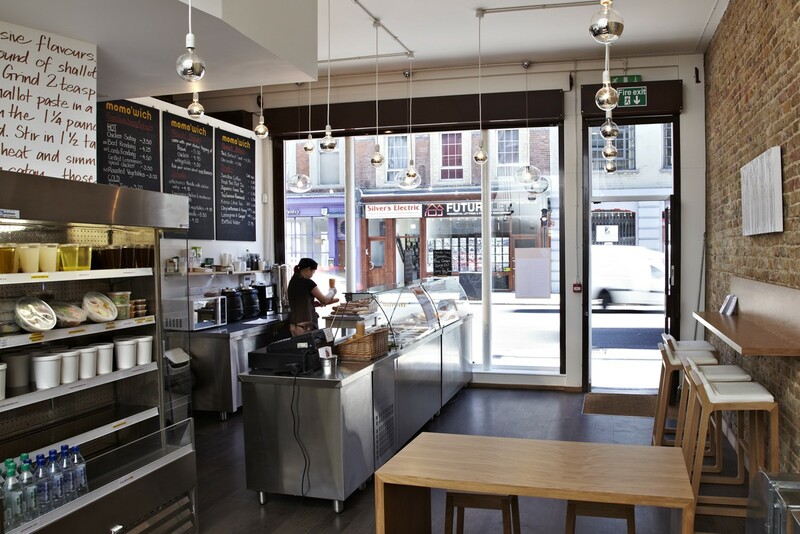 The vaulted basement was converted into a commercial kitchen with new ducted exhaust installed through to the roof level of the 4 storey building. 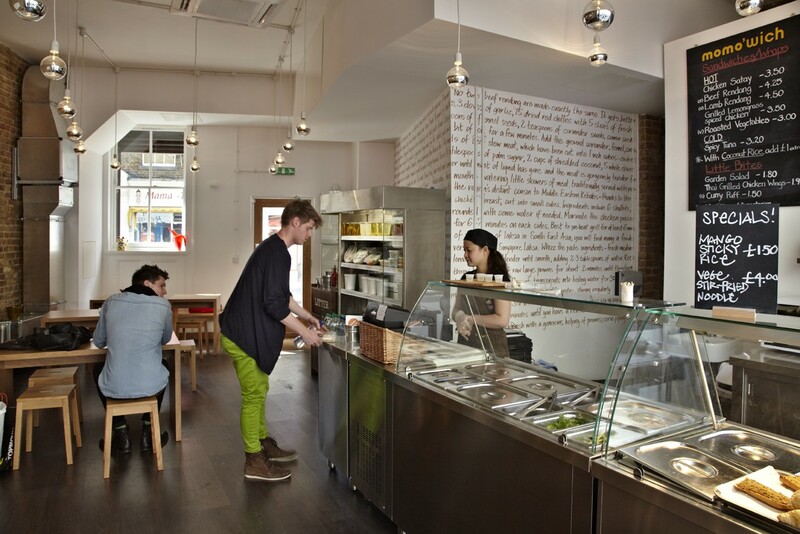 The basement was connected via a new staircase through to the front of house ground floor cafe. 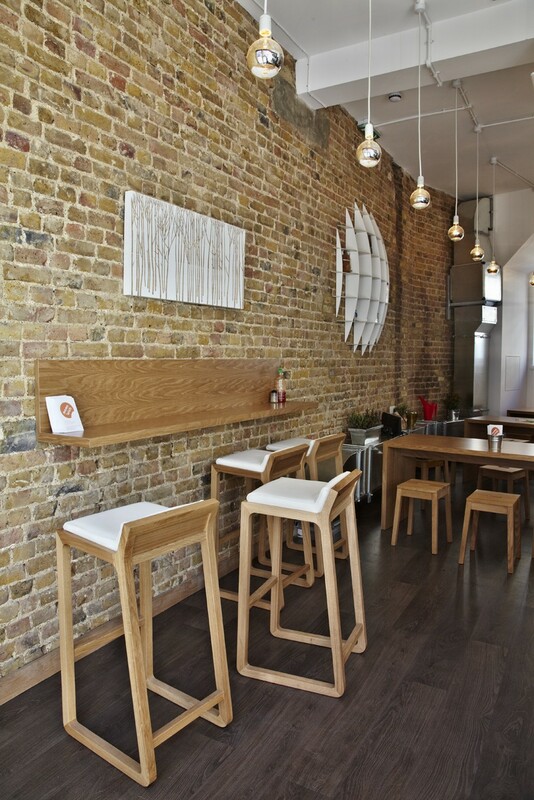 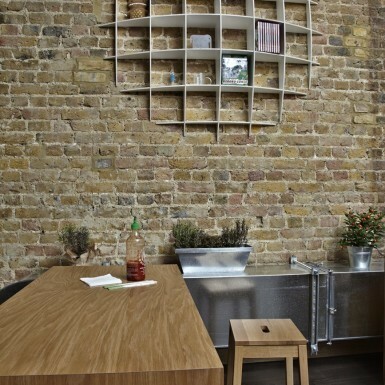 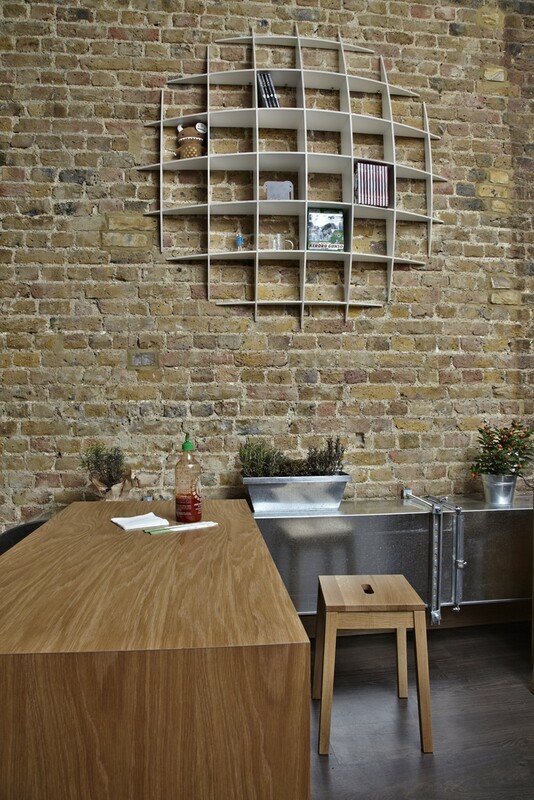 The material palette was kept earthy, with the old plastered walls stripped back to reveal exposed brick walls. 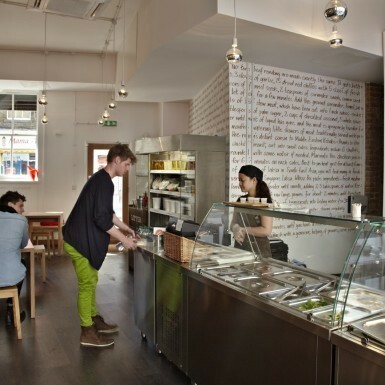 The contemporary clean lines of the bespoke furniture and engineered oak flooring contrast well against the rich texture of the sand-blasted brickwork and the industrial aesthetics of the exposed galvanised steel ductwork, exposed conduit runs, air-condition unit on the soffit and brushed stainless steel casings of the display and server counters. 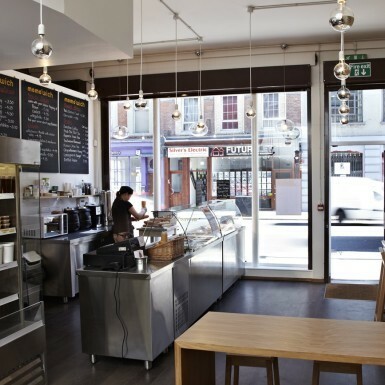 The sea of oversized naked light bulbs floods the space whilst providing a more intimate secondary plane below the high ceiling interiors of the cafe. 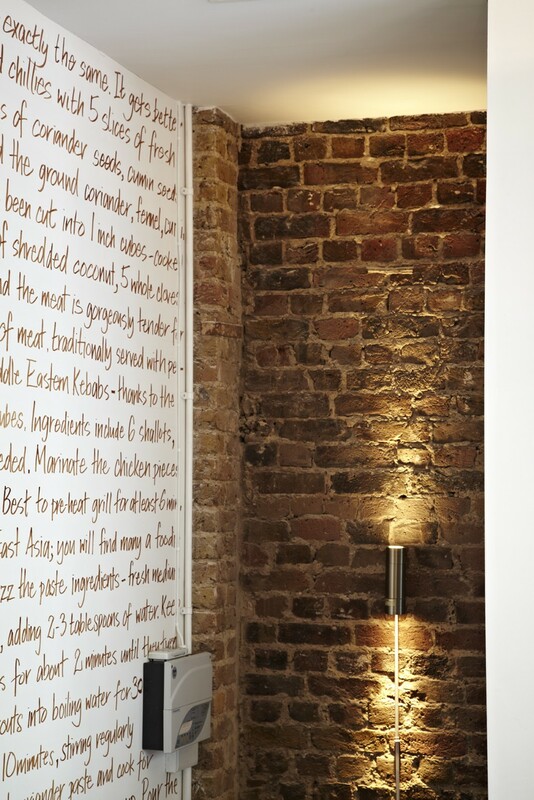 The boarded up high level ducting snakes through as a sculptural form providing a change in ceiling heights as a hyper-graphic ‘recipe’ wall wraps around at an acute angle leading the way into the stairway flanked with exposed brickwork washed with vertical wall-lights. 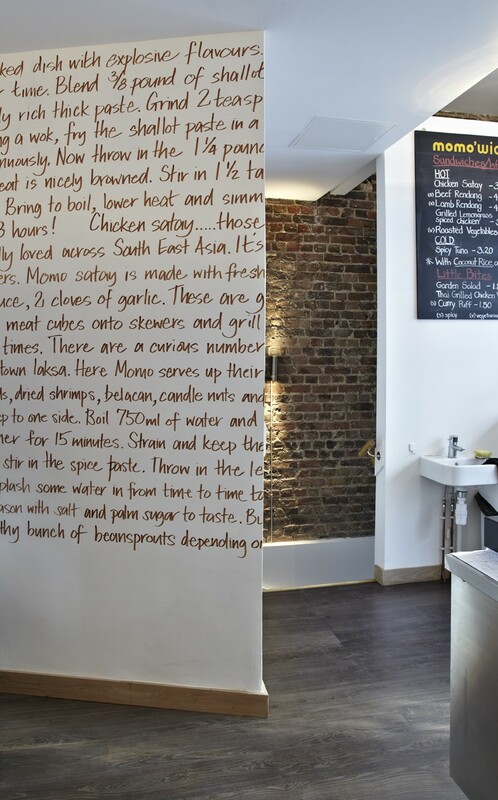 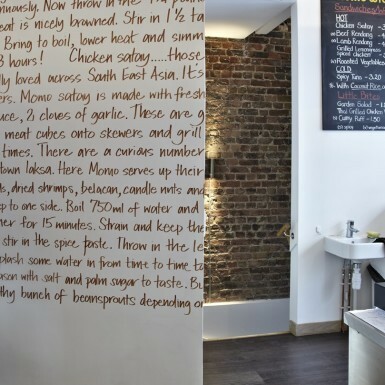 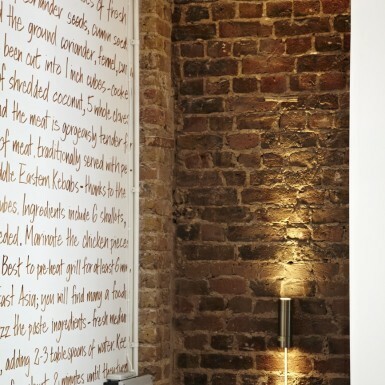 The hand-written script provides a candid take on the recipes of the food served in the cafe; a bit of humour and doubles as a playful ‘wall-paper’. Both the shop front and rear are kept the signature brown colour with a few careful dash of orange splashes.